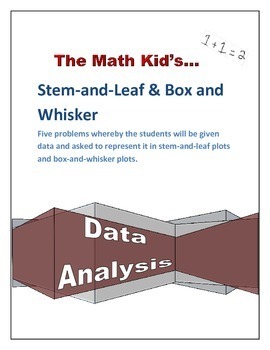 Five problems whereby the students will be given data and asked to represent it in stem-and-leaf plots and box-and-whisker plots. 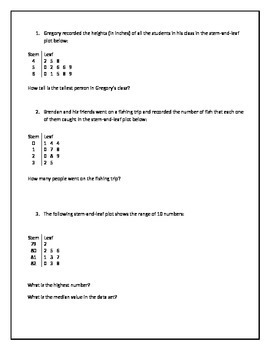 This worksheet served as great practice for my students after they were introduced to it. 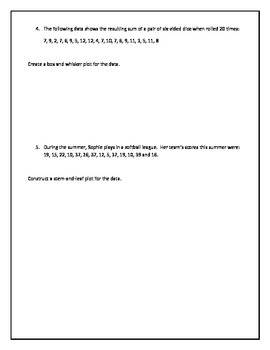 In my experience, it should take approximately 30 minutes to complete.